For this week’s Bit by a Fox podcast we’re getting a little less boozy. Or rather, not boozy at all! In this latest episode we talk about one of the most successful spirit launches out of the UK in recent years – Seedlip – a product that bills itself as the world’s first distilled non-alcoholic spirit. What does that even mean? How do you drink it? And why has it been so wildly popular in the craft cocktail community? Bartenders Aaron Polsky and Laura Lashley explain it all in this fun interview. They’ve been working with the brand here in LA, and have been singing its gospel since it landed stateside and has gained buzz across the country. This is our first interview with multiple guests and we did this on location at Aaron’s home bar, Harvard & Stone in Hollywood. 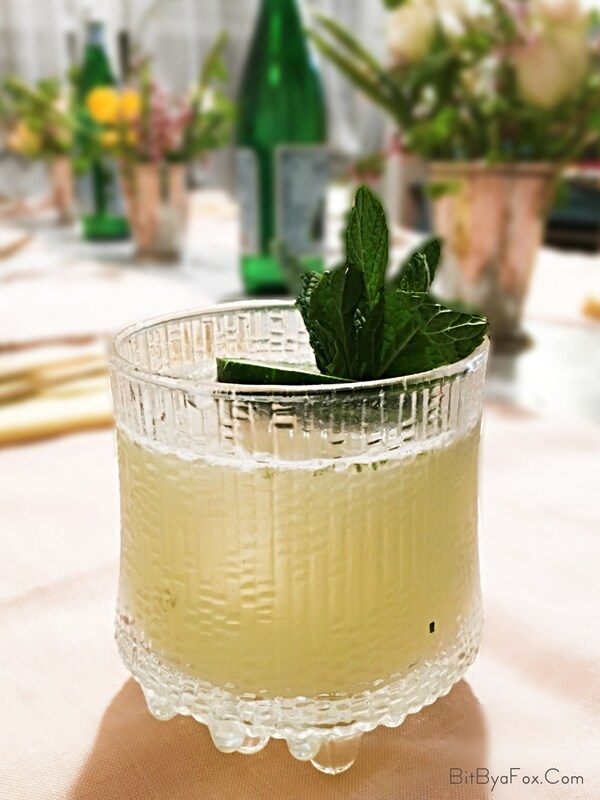 Our featured cocktail this week is an Eastside made with Seedlip’s Garden 108 as the base spirit. In a cocktail shaker, muddle a cucumber slice and 5-6 mint leaves. Add the Seedlip Garden 108, fresh lime juice, simple syrup, and ice. Shake until well-chilled, then double-strain into a an ice-filled rocks glass. Garnish with a cucumber slice and mint sprig. The post BBaF Podcast Episode 26: Seedlip – The First Non-Alcoholic Spirit appeared first on Bit By a Fox. Previous Story Previous post: Clouds and sun, but cooler today.